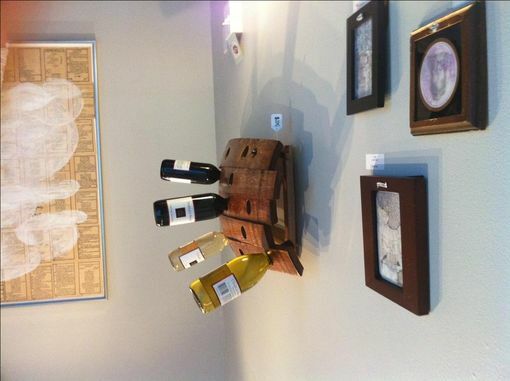 fThis a wall-mounted wine rack made from several staves reclaimed from a used wine barrel. 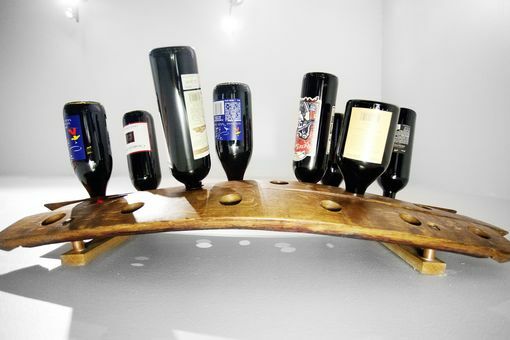 It can hold a case of wine bottles, inserted neck first. 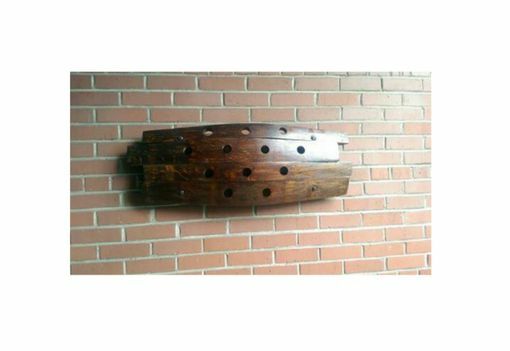 It is designed after French riddling racks and is truly a one-of-a-kind piece of functional woodworking. There are keyhole hangers for easily hanging the rack, and drywall anchors are included with purchase. These provide exceptional hanging strength (rated at 50 pounds per bolt) and can be mounted securely into drywall (or even concrete) without the need to locate and drill into studs. Measurements are approximately 36 inches by 14 inches at the widest points. I always have a few in stock that will ship within 2-3 days. 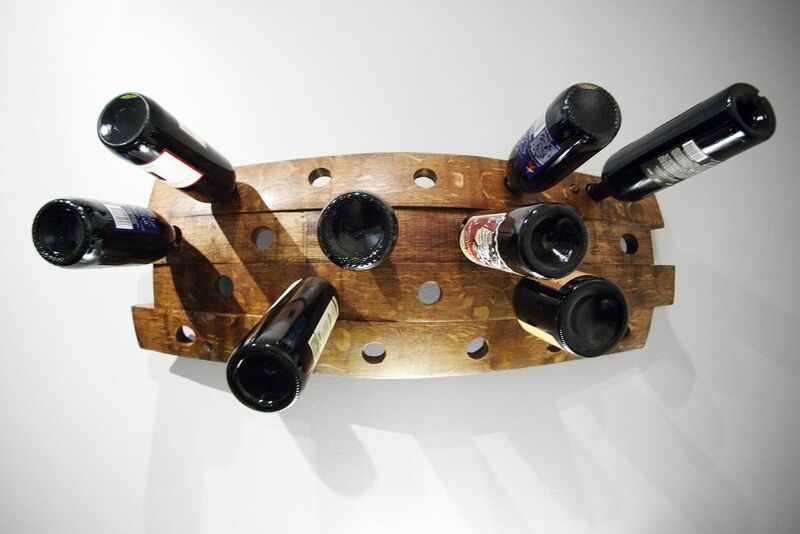 Note: The standard wine rack has a medium brown stain. 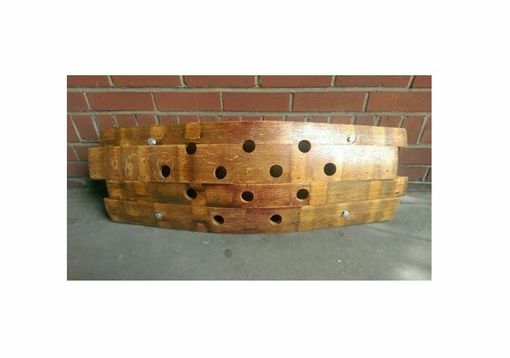 Alternatively, you can order an unstained rack that is finished only with wax, or a dark brown version.